The club is located on the site of no 1 Addison Road, where the 3rd Lord Holland built a mansion for his eldest son, General Charles Richard Fox, in 1827. This became known as Little Holland House. After Fox’s death in 1873, the house was demolished to make way for speculative builders but a wing of the house survived, which is now the clubhouse and the grounds, its tennis courts. 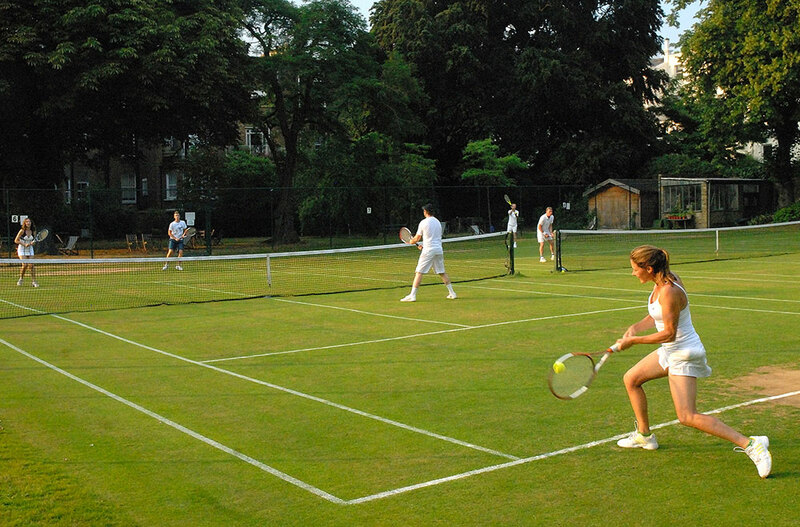 Holland Park Tennis Club was established circa 1875 as ‘a private lawn tennis, cycling, croquet and pleasure ground’ at the western end of the Holland Estate. The club was originally founded for the exclusive use of the residents of Holland Park. However, soon after the end of the First World War, circa 1920, a lease was granted to a committee to establish a private tennis club, no longer for the sole use of residents, now known as Holland Park Lawn Tennis Club. The club reputedly acquired its freehold in the 1960s for the sum of £15,000. The club is now operated by a full-time manager and an elected committee and has always had grass courts (players such as Billie Jean King and Jimmy Connors enjoyed using the club for their pre-Wimbledon warm-up) and also has five floodlit artificial grass courts. Copyright © 2016 Holland Park Lawn Tennis Club. All rights reserved.